16-year-old twins, a boy and a girl, were beaten, imprisoned, and starved by their adoptive mother Sandra Weller and their stepfather Jeffrey Weller. The twins were pulled out of school to be homeschooled after school officials reported suspicions of abuse. Despite the abuse, the twins “participated weekly in home-school social events outside the home,” according to the Wellers’ lawyer. The twins were originally adopted by Sandra Weller and her previous husband in California around 1997 and stated that they had been abused as long as they could remember. The Wellers locked them in a bedroom with one mattress, no electricity, and newspapers covering the windows. They were released once a day to eat canned vegetables. Because they were starving, they stole food from the locked refrigerator and pantry whenever they could; when the Wellers caught them, they were beaten with a heavy board. The girl, who was bald from malnutrition when they were found, took the brunt of the abuse and was also strangled and punched in the face. The twins were not permitted to talk to or touch the other members of the family. 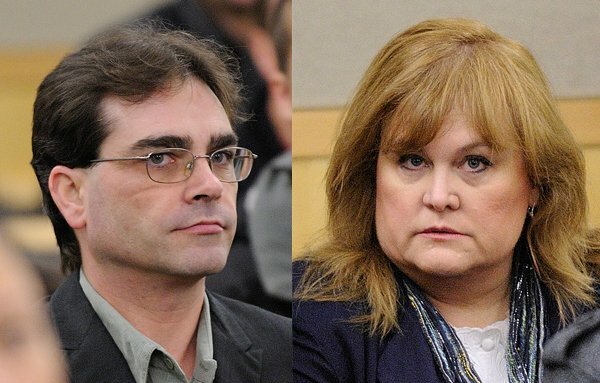 The other four children in the home—two boys aged 14 and 12 from Jeffrey Weller’s earlier marriage to Tina Toth (who had lived there since June 2011), a 10-year-old boy from Sandra Weller’s earlier marriage to Tim Graf, and the Wellers’ 4-year-old son—were also physically and emotionally abused, especially when they tried to sneak food to the twins. The abuse came to light when the girl passed a note to her therapist and the police were notified. The Wellers were originally charged with five counts of second-degree assault and two counts of unlawful imprisonment. They were eventually convicted in 2013 of “three counts of second-degree assault with a deadly weapon, unlawful imprisonment, second-degree assault, and four counts of third-degree assault causing bodily harm. Jeffrey Weller was also found guilty of “strangulation of the girl twin” and on several counts of abusing his other four children. The Wellers were each sentenced to 20 years in prison.